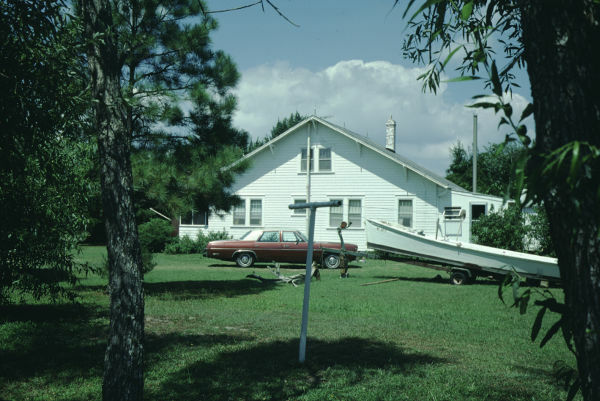 This photo was taken in the mid-1970s from the side of the road now known as Sunset Drive. The building you see was a private residence that was converted to the Ocracoke Coffee Company and Thrift Store. In the yard you can see a traditional flat bottomed skiff, the kind that was used by many local watermen.